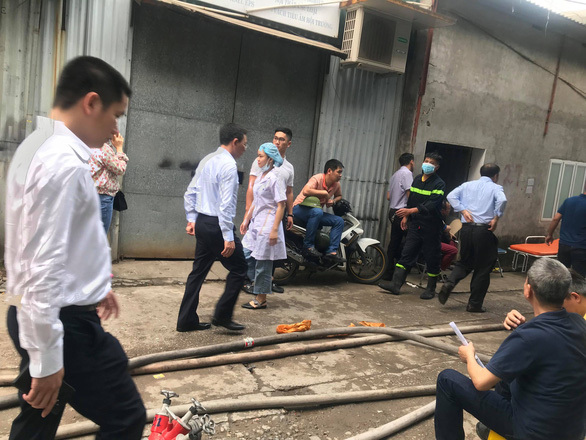 Eight people have been missing and possibly killed since a fire broke out at a 1,000-square-meter workshop complex in Hanoi on early Friday morning. 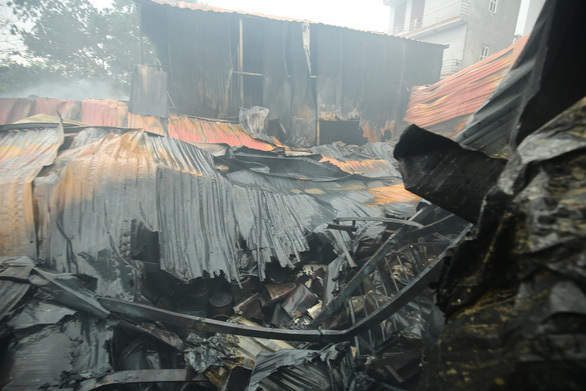 The flames erupted at the facility on Dai Linh Street in Trung Van Ward, Nam Tu Liem District at around 2:00 am, according to a source close to Tuoi Tre (Youth) newspaper. A total of four workshops in the venue were burned down before the fire was finally extinguished four hours later. 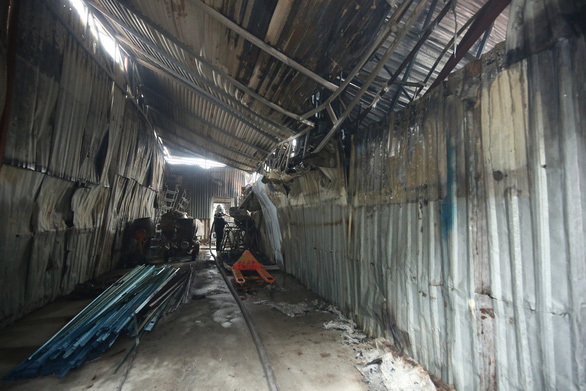 Eight people were inside one of the workshops, where plastic recycle bins are manufactured. Many fears the victims were killed in the blaze, but so far no bodies have been found. Preliminary information shows that the fire first broke out at one of the workshops before spreading rapidly through the entire venue. All of the facilities within the complex were used to store highly flammable goods made from plastic and wood. Officers are still searching for victims. 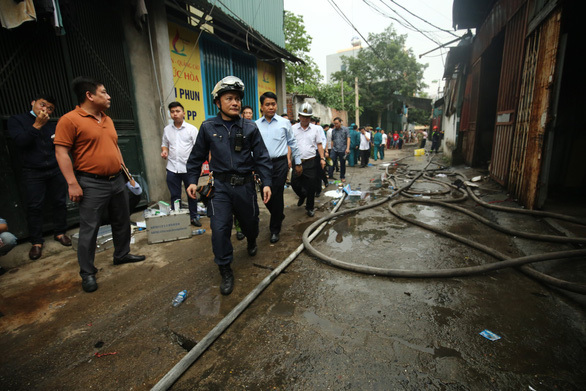 Chairman of the municipal People’s Committee Nguyen Duc Chung and his deputy, Nguyen Van Su, visited the scene to show support for rescue workers. An investigation has been initiated to determine the cause of the incident.